Naturally, the longer it has been since your last cleaning, the more involved your cleaning will be. We will examine your teeth and gums and select a cleaning that is best for you. We will probably suggest any needed x-rays as well. These may help us determine if you have tooth decay or other problems. Dental cleaning chair at the Buckhead office. Dental materials today, if used properly, can make your visit much faster and more comfortable. We always use materials that cure or set as fast as possible. This means we are in your mouth for shorter periods of time. We also use the smallest trays available when taking molds for you. Combined with fast setting materials, we provide the most comfortable mold taking possible. We stock over 100 colors of bonding materials. We can match any tooth the same day. No need to come back again for another appointment. We advocate the use of the new chlorine dioxide products that really work against bad breath. We recommend EnFresh products. Their unique tongue brush and tongue gels work! Please contact them at 1.877.ENFRESH (1.877.363.7374) or click here to visit their web site. This unique brush is a replica of what we use in the office to clean teeth. It is the best electric brush on the market. Used properly, it cleans your teeth and gums better than any other brush. We carry them and all of their accessories for your convenience. Why do I need to replace my old fillings? Old silver fillings should usually be replaced every 10 to 15 years. Remember – you use your teeth daily – the wear and tear on these fillings is excessive. (Imagine wearing the same shoes every day for 15 years! You would have no soles left). Silver fillings will crack, cause cracks or breaks in your teeth, and they will wear out with time. With today’s emphasis on natural looking smiles and the absence of metal in our mouths, tooth- colored fillings are all the rage. These fillings are virtually undetectable and look like natural teeth. There are three types of tooth-colored fillings. 1. Direct (tooth-colored resin, bonding, composite filling) – Most fillings today are placed directly in the mouth in one visit. A putty like material is molded into the area for the filling, and it is hardened with a specialized light. 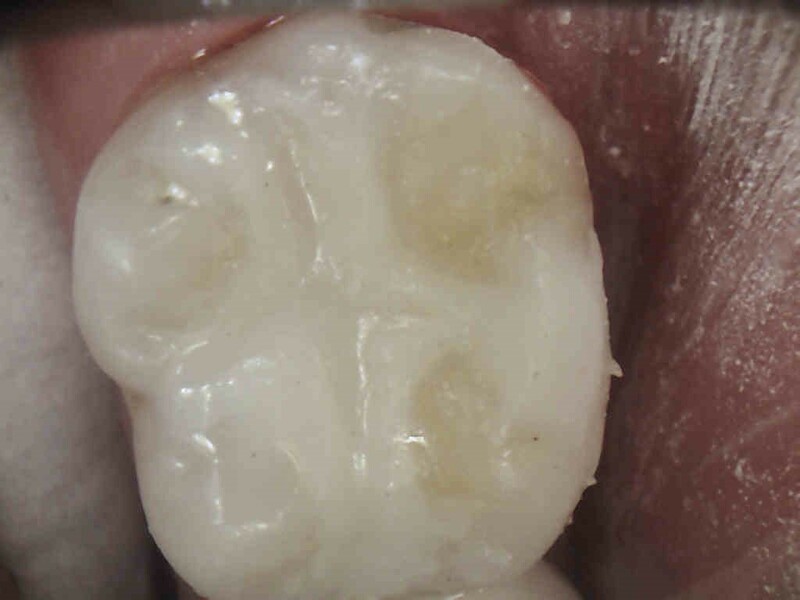 Many of the old amalgam (silver) fillings are being replaced with tooth- colored resins. Resin – These fillings are made of similar material as the direct fillings, but since they are made and hardened in the lab, they have better wear in the mouth. Since they are resin or “plastic,” they flex with the biting forces and are very kind to your natural teeth. If a problem occurs, these can often be easily repaired. Porcelain – these fillings are made of “glass.” They too look just like natural teeth. They are harder than resin and may break more often. Unfortunately, they are difficult to repair. These fillings have been used successfully for over 50 years. 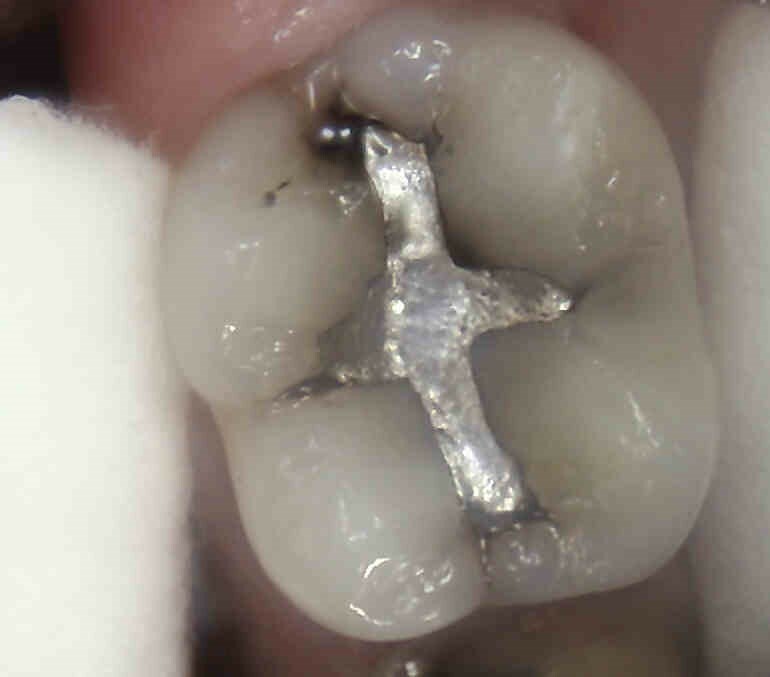 A mixture of mercury, silver, and other trace metals are mixed into a putty and placed into the tooth. These fillings may not be the prettiest, but they can last a long time, generally 10 to 15 years or longer. The American Dental Association still advocates the use of silver amalgam although many people, including some researchers, feel that the mercury may be toxic to humans. Gold is one of the best materials to use in the mouth. It wears like natural teeth and can last for 20-40 years. If the color does not bother you, you may want to consider the use of gold for your back fillings. Gold fillings will take two appointments and may cost more than other fillings – but their longevity makes up for it!